An education loan can be defined as money borrowed to finance education or school-related expenses. Payment defers while the student is in school and for a six month grace period after graduation. Student Loan can be defined as a loan designed to help the student pay for the post-secondary education and associated fees such as tuition fees, books and supplies, and related expenses. Education loan is different from the other loans available. The rate of interest is substantially lower and one defers repayment. Also, education loans vary from banks to banks and differ in many countries relating to laws. The base rate is fixed at 9.85 %. A concession of 0.50% is provided for girl students and 1 % concession is offered for the future tenure of the loan. Make sure you check the prevailing rate of interest of various banks and other details before applying for the loan. Undergraduate student loan: Banks provide these loans to students taking the undergraduate course in various colleges. Graduate/Professional Student Loan: Suitable for students for higher advance studies at countrywide colleges. Career Education loan: Attending undergraduate career programs countrywide, training schools. Education loans are provided by banks to students whose parents do not have adequate finances to finance their studies. It is also provided to people to supplement their finances. 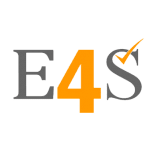 Basically, education loans provide you the opportunity to study and pursue your education and have a secure job in the future. Availing education loan has become an easy thing and also a common practice. Many banks be it private or government gives education loans and each of them has different rules and criteria for giving out the loan. One can avail the loan according to their requirements and by carrying out the necessary steps in the availing of the loan. 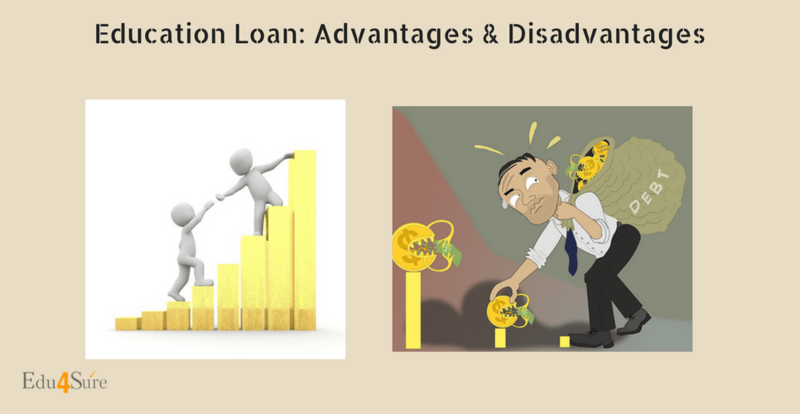 Here are some advantages and disadvantages of Education Loan. MAKES EDUCATION ACCESSIBLE: By availing education loan, it makes education accessible and also higher education accessible to the students. It gives students the options to study the course they want to study. Education is becoming expensive and not everyone can afford it so education loan makes it accessible for all. EASILY AVAILABLE: You can easily and quickly get the education loan. All private banks are offering an education loan. You can apply it online also and you can avail the loan within 15-30 days by completing the procedure. SPECIALISED LOAN SCHEMES: Education loans are also available for a number of special and training courses. You can get the loan to study abroad as well. The banks offer various schemes from time to time which makes it easier and affordable for you to avail loans. REPAYMENT MORATORIUM: Repayment in education loan is in the deferred from unlike in the other loans. You repay the loan amount only after the completion of the course or after the job whichever is earlier. INTEREST RATE BENEFIT: The interest rate of education loan is substantially lower than the other loans. A girl student gets a concession. You get other benefits on interest as well. INDEPENDENCE FOR STUDENTS: Education loan gives the student the independence to study and pursue their dreams, go for higher education without any burden. It gives them a feeling of security. PARENTS RESCUED FROM BURDEN: It provides parents relief from the burden of financing their child’s education. They are freed from the burden of how to do, when and where. They are now open to the option of sending their child to the best school, college. There are only a few advantages that are mentioned above. There are many which give you the reason to avail the education loan and also the reason to why. Do check and compare all the advantages of education loan and make a decision to apply for one to help your child study further. Like every coin has two sides, similarly, education loan also has two sides. There are disadvantages too along with the advantages which need to be taken care of. ELIGIBILITY CRITERIA: Banks give education loans only to the students whom they consider deserving. So, you need to prove that you deserve enough to avail the loan. There are certain other eligibility criteria for the loan. REPAYMENT PRESSURE: Once you have availed the loan, there is always the pressure of repayment. As you all know, the loan taken has to be paid and also to be paid in the given time period. So there is an added pressure on the students to do well and to be able to repay the loan. After going through the advantages and disadvantages, Decide for yourself whether you want to avail it or not. Make a Smart Choice! Previous articleHow To Plan A College Picnic?